Deadline for submitting your projects is Wednesday, June 18 at 11:59 PM US Central time. This is Lynda hosting this week's Inspirational! 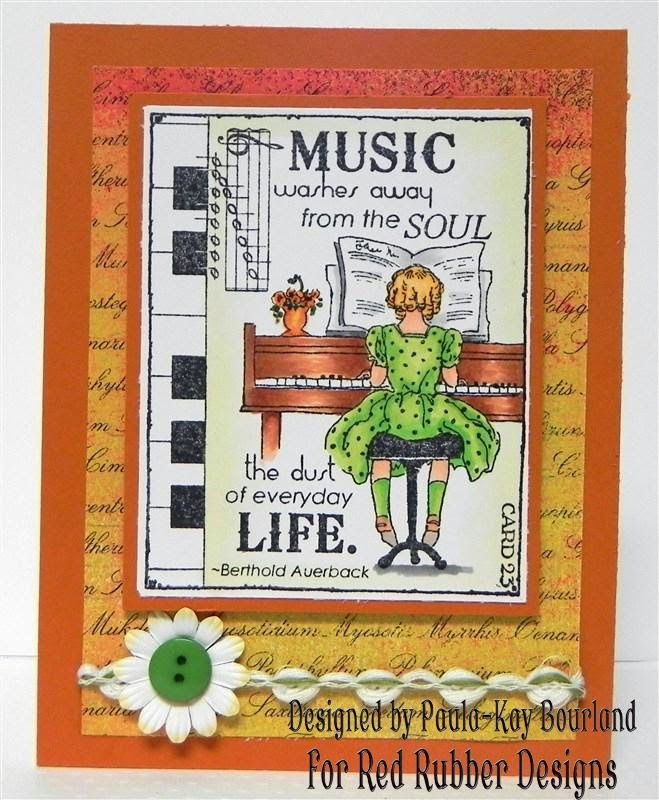 Our theme this week is the Music In Me! I want to see your stamping projects inspired by a song or using a musical background of some kind. I started by stamping the flower from the Spring Dream set. I then created a mask of the flower and stamped the music score from the Vintage Background set. I then used my Spectrum Noir colored pencils to color in the flower. I then added the sentiment from the Sophisticated sentiments set. Well the "happy birthday" and "you" are from that set...the "to" I penned to match. I then added this wonderful washi tape on the edge to complete the card.